The memorial, which Congress has authorized to be built by 2021, will honor the soldiers who served and the 383 who died in operations Desert Shield and Desert Storm. “As a Marine Corps veteran of Operation Desert Storm, I came to the startling realization six years ago that ODS was becoming a footnote in history, an insignificant speed bump as recollected by many,” wrote Scott Stump, CEO and president of NDSWMA, in an op-ed published by the Military Times in 2016. 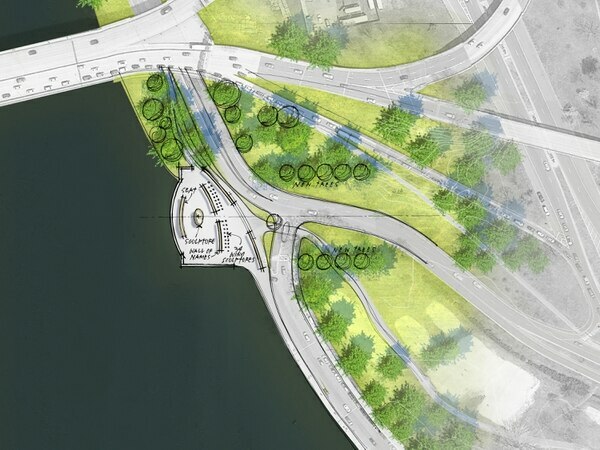 The initial design reflects the “unique environmental and battle conditions” of the war with a curved Kuwaiti limestone wall that shields visitors from their urban surroundings and mimics the successful “left-hook” maneuver that coalition forces used, according to the NDSWMA website. Through wall carvings and statues, it will also serve to educate people about the historical events of Desert Storm, identify the 34 coalition countries, and memorialize the names of all the Americans who sacrificed their lives in the war, according to the website for the association, which is led by Honorary Board Chairman and former President George H.W. Bush, and a board of directors made up of Desert Storm veterans. The proposed design varies for each of the three locations being considered, according to Stump. All are close to the National Mall, and the first two are near the Lincoln Memorial. 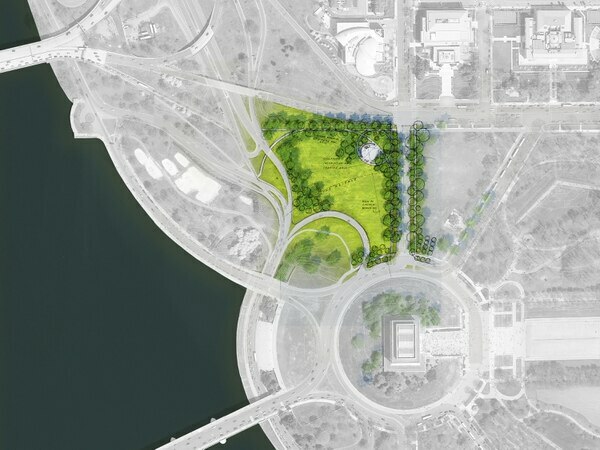 The three locations are: the end of Constitution Avenue near 23rd Street NW; the Constitution Avenue Belvedere, near Rock Creek and Potomac Parkway NW; and Walt Whitman Park on E Street NW. The association prefers the location at Constitution and 23rd for its proximity to the other war memorials and to the Lincoln Memorial, as both speak of liberation, according to Stump. “We feel that it’s very important to have a memorial that’s very easily accessed by pedestrians who are visiting the other war memorials, or commemorative memorials, in West Potomac Park,” Stump told the Military Times. The location is also close to the Vietnam Veterans Memorial, an important connection as many of the military’s leaders in 1991 were veterans of the Vietnam War, said Stump. “In many ways this is the antithesis to Vietnam. This is their victory, their vindication as well,” he said. 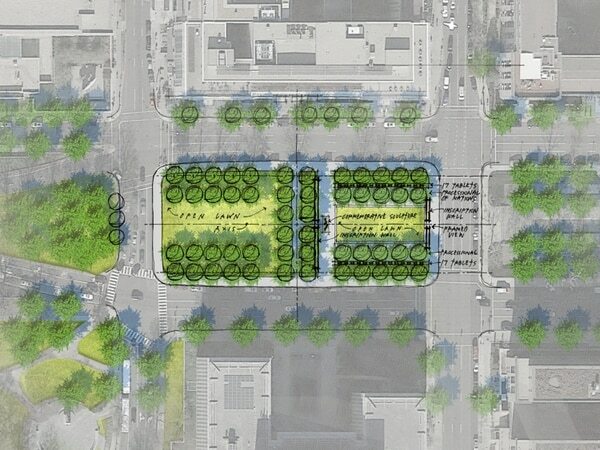 The public is invited to submit comments through the National Park Service website or attend the public meeting which will be held from 6 to 8 p.m. on March 27, at 2020 K Street NW, Washington, D.C. The comment period closes on April 13.